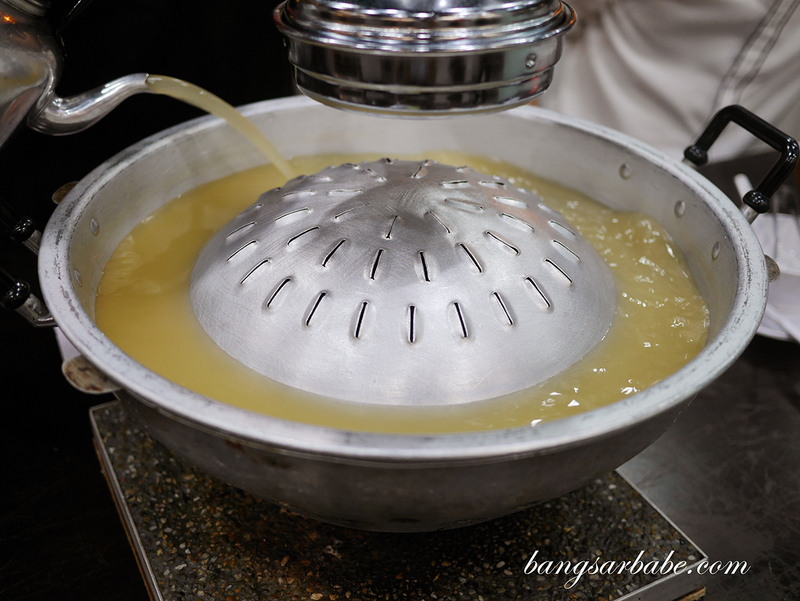 All-You-Can-Eat deals below RM50 is sometimes too good to be true – I recently tried a deal as such at Ruk Mookata in Puchong with a group of friends. 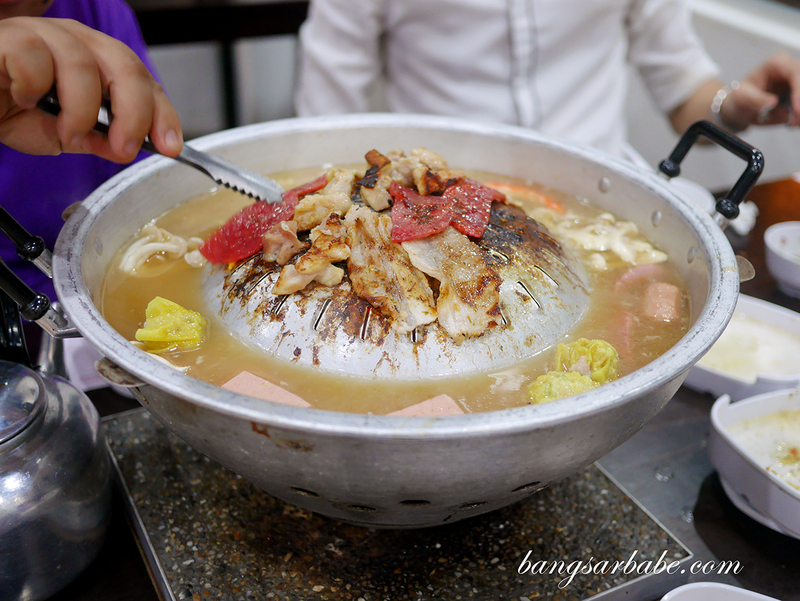 Ruk Mookata serves Thai-style BBQ and steamboat using a charcoal pit, which is said to give the meats more flavour. Getting to Puchong on a weeknight can be chaotic especially if you’re coming from Bangsar, so we only got to the outlet at close to 9pm. 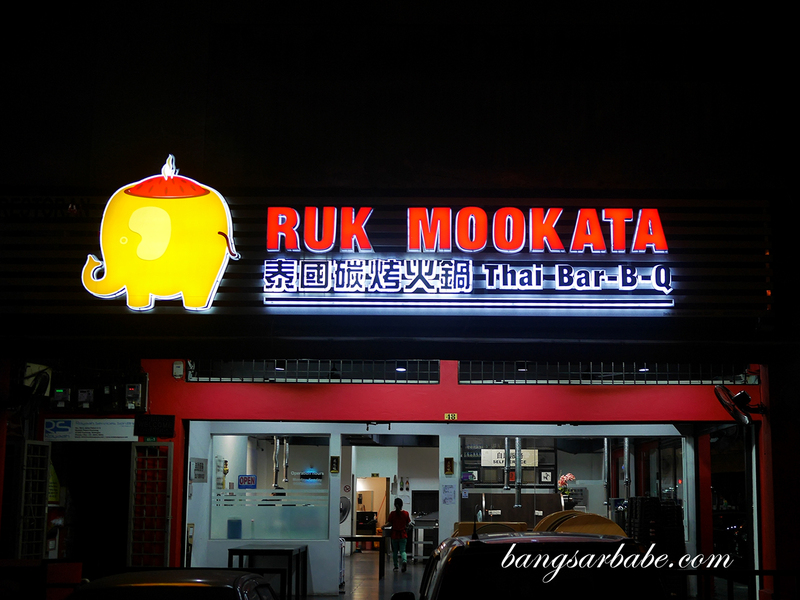 That didn’t seem like an issue I thought, as Ruk Mookata claims to be open till midnight. So we still had time to eat, or so we thought. 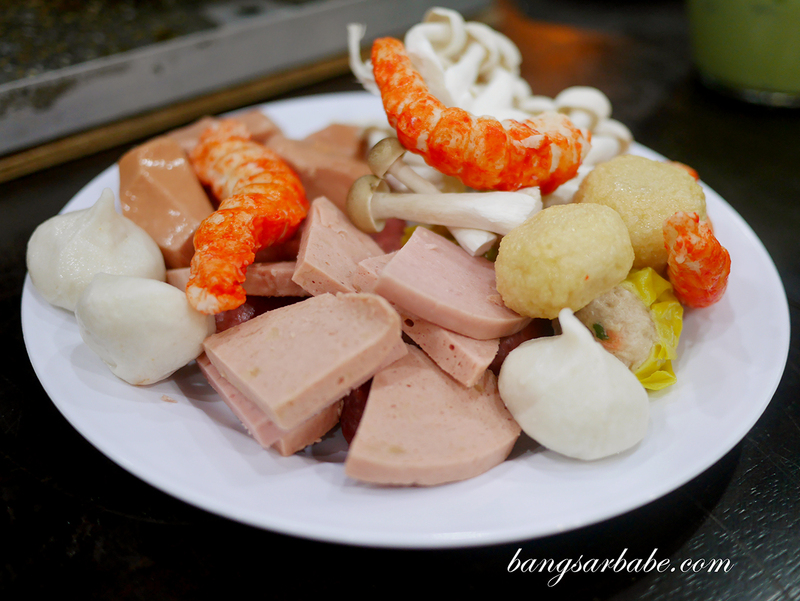 For RM43.80, you get unlimited portions of assorted meat slices (pork, chicken, beef and mutton), seafood and a variety of frozen steamboat items. 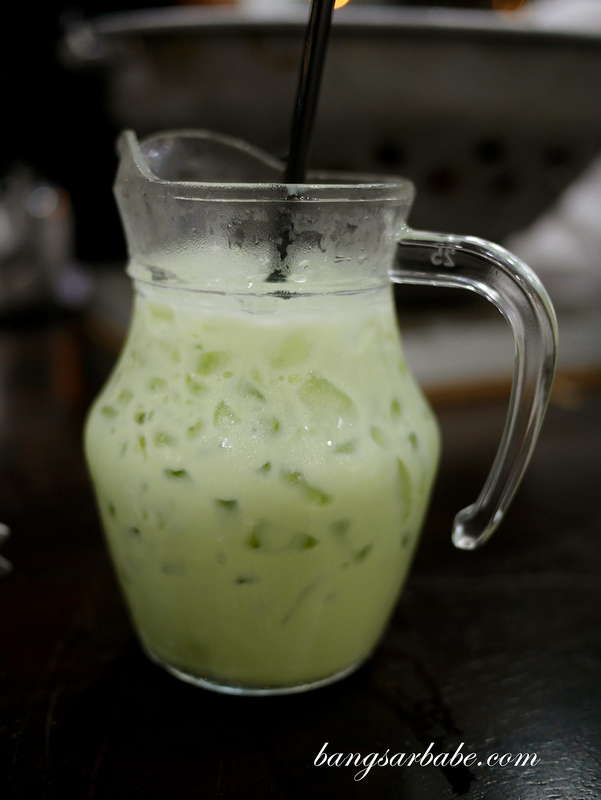 The buffet comes with a complimentary Thai green tea each, which you can refill for an additional RM6.80. 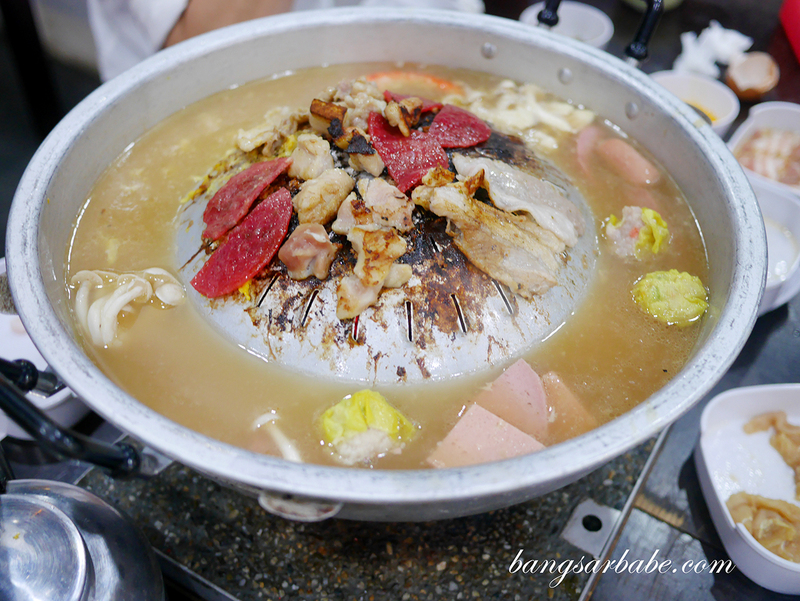 You get two options for soup – pork bone or tom yum, the latter went best with the BBQ I felt. 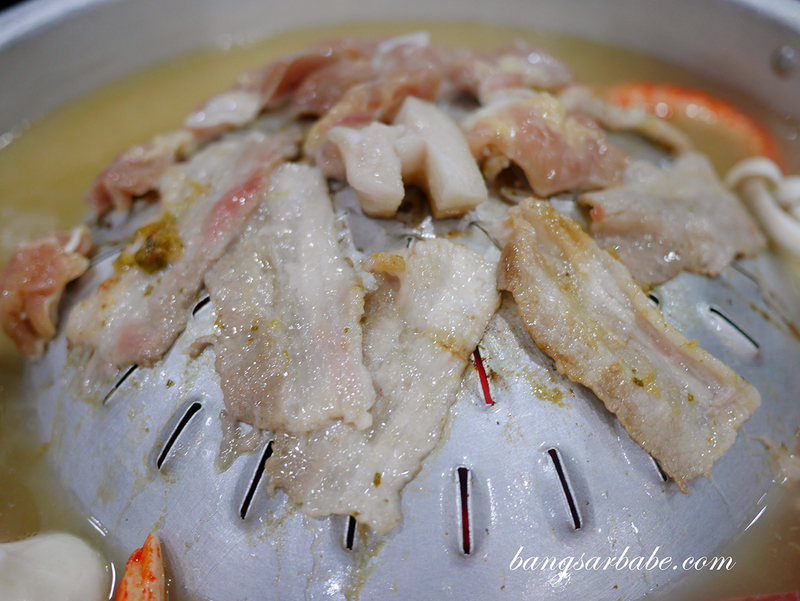 After a while, the natural juices from the grilled meats gave flavour to the broth. I added a mix of meatballs, seafood balls and vegetables into the soup base to give it more umami. 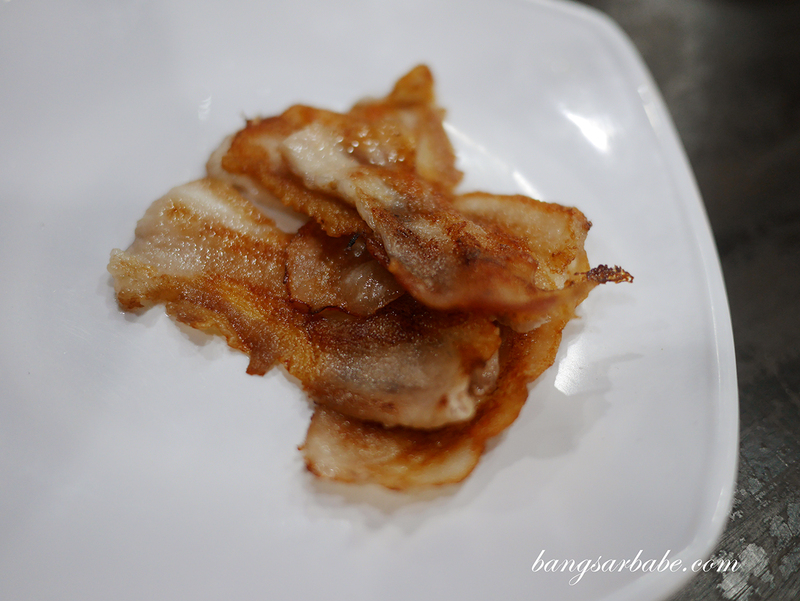 Of the meat options, I enjoyed the marinated pork belly slices and mutton best. 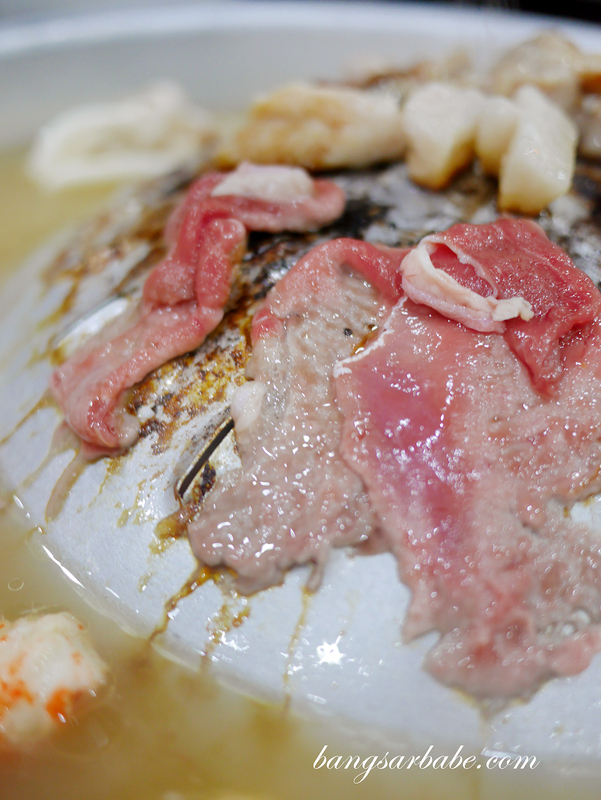 The former had a spicy, tangy flavour which balanced out the richness of the meat while the mutton got its flavour from the rendered fats on the grill. 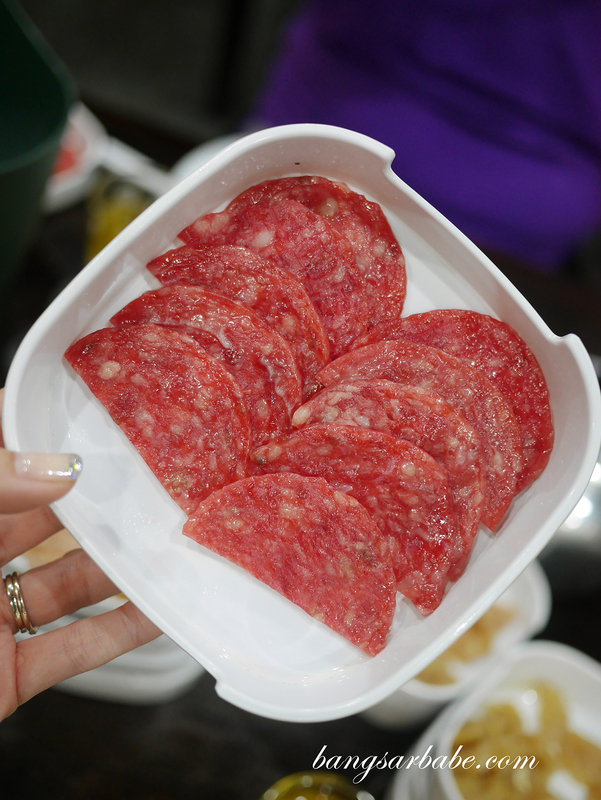 My friend insisted on having the Bak Kwa (RM8.90 per portion), grilled till the edges are crisp and aromatic. While this was not bad, I didn’t fancy it all that much. 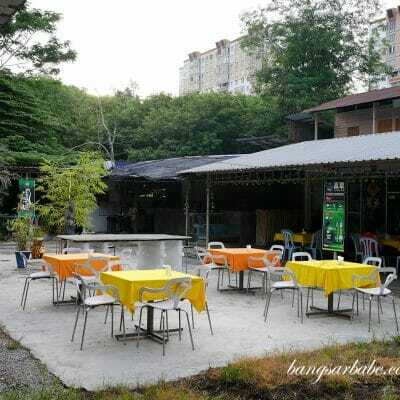 By 9.30pm, Ruk Mookata stopped replenishing the food and I found that disappointing. 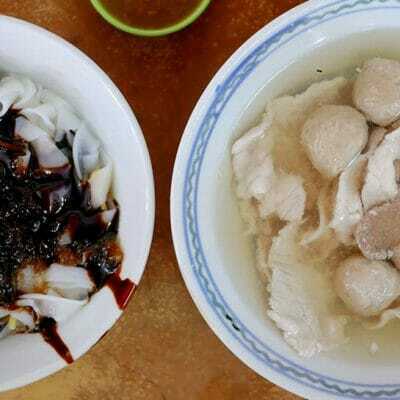 Quite a few popular items had run out like the Taiwanese sausages and mutton, but no efforts of refilling were seen. Instead, I was shocked to see the staff cleaning up and stacking tables, despite other customers still eating their food. By 10pm, they started mopping the floor and the strong scent took away the experience of dining at Ruk Mookata. Perhaps I was being sensitive but I expected better service. When we asked for the pork bone soup refill, they poured tom yum soup instead because they “ran out” of pork bone soup. That ruined our broth. 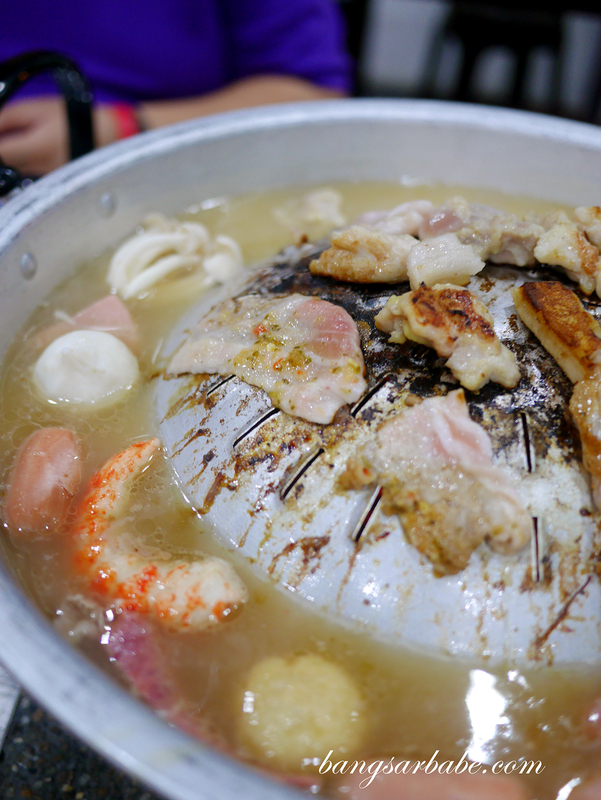 Even while eating, the staff attempted to remove the BBQ-steamboat machine from our table – a strong hint for us to finish up and get out. And that wasn’t even 11pm, mind you. Overall, I can’t complain about the food given the reasonable price tag but I feel food was very mediocre and service, below normal standards. 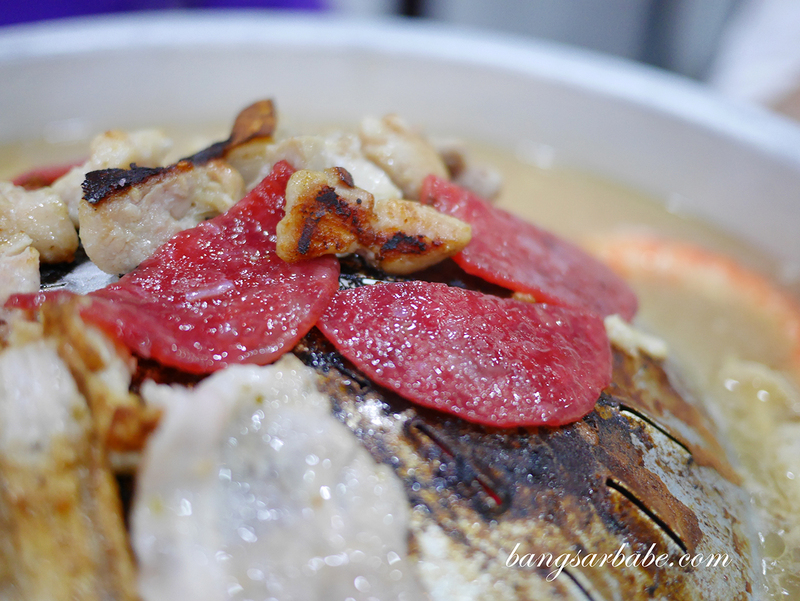 We paid approximately RM55 per head inclusive of a bottle of beer and two plates of bak kwa. Not expensive, but definitely not a place I would brave traffic and distance for. 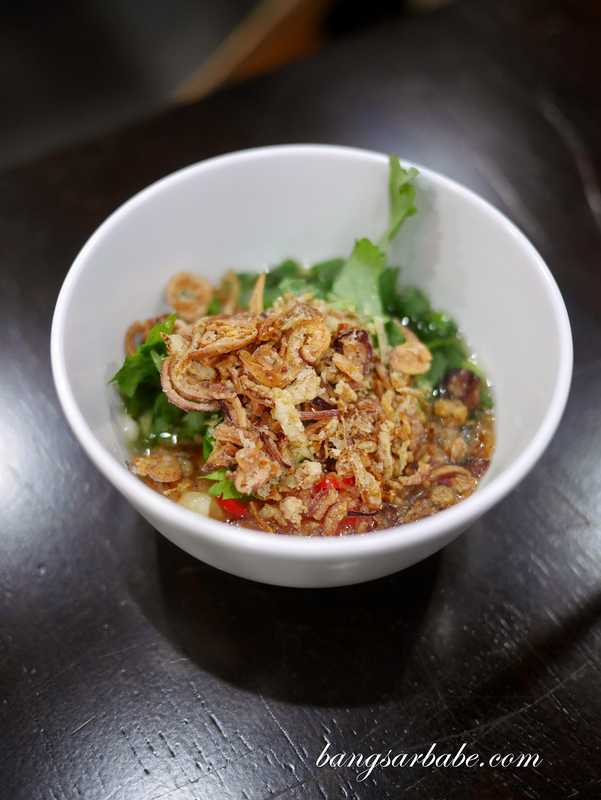 Verdict: If you want to feast on meats, this is an option. That said, food was mediocre.